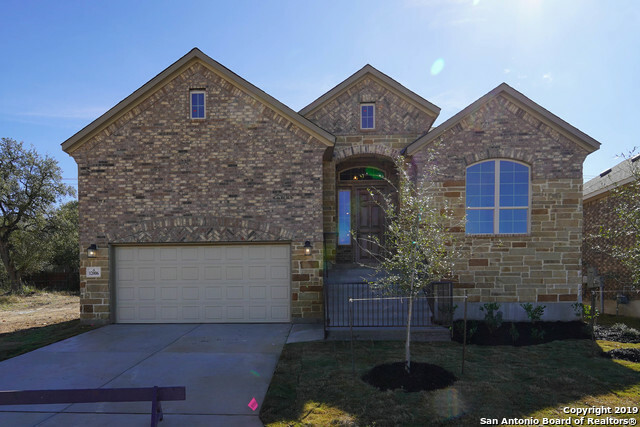 All Fronterra at Westpointe homes currently listed for sale in San Antonio as of 04/26/2019 are shown below. You can change the search criteria at any time by pressing the 'Change Search' button below. 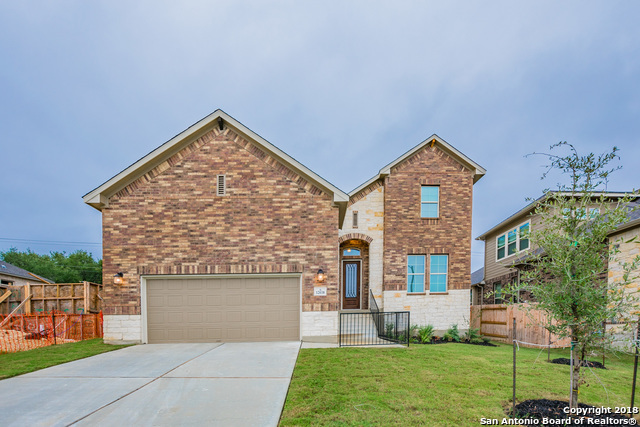 "The kitchen is beautiful and open to the family room and a quaint breakfast nook that overlooks your backyard. The formal dining room area is connected to the kitchen through a functional butler's pantry, this would be perfect for those special occasions. The ground floor is where you will find your gorgeous master suite and a secondary suite. The master features a spa-like bathroom and 2 walk-in-closets. Upstairs you can find the game room, a third suite, 2 bedrooms and the fourth bathroom." "Library with French doors set at entry with 20-foot ceiling and hardwood floor. Rotunda ceiling. Formal dining room with hardwood floor. Spacious family room with an 18-foot ceiling, cast stone fireplace and a wall of windows. Island kitchen features a walk-in pantry and is open to the morning area. Private master suite features a curved of wall of windows. Master bath includes a corner garden tub, separate glass-enclosed shower, dual sinks, a linen closet and a large walk-in closet." "The Kitchen opens to a breakfast area and a huge family room that has the option to add a fireplace. The 3-car garage could be sized down to a 2-car garage, and in that extra space a hobby room or office area would take its place. The master bedroom offers an optional door to enter onto the covered back patio, and a bay window can be added for even more square footage." "Two-story entry with a circular staircase. Library with French doors. Formal dining room with ceramic tile floor. Two-story open family room with ceramic tile floor features a wall of windows. Kitchen and morning area open to family room. Master bedroom with 12-foot ceiling. Master bath with dual vanities, garden tub, a separate enclosed glass shower and a walk-in closet. Secondary bedrooms, game room and media room completed the second level. Covered backyard patio. Mud room off 3-car garage." 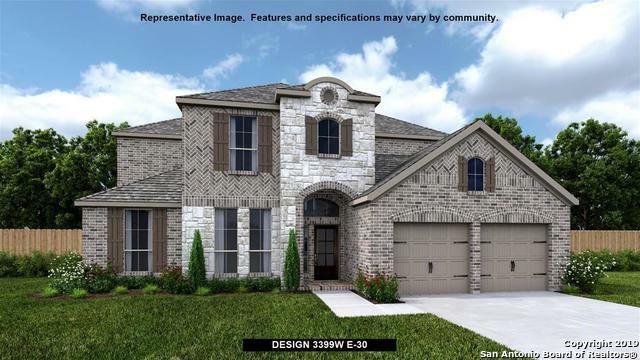 "The Edinburgh II is a 2-story floorplan that boasts 3,499 square feet, and features 5 bedrooms, 5 bathrooms, and a 3-car garage. The Kitchen opens to a breakfast area and a huge family room that has the option to add a fireplace. The 3-car garage could be sized down to a 2-car garage, and in that extra space a hobby room or office area would take its place. 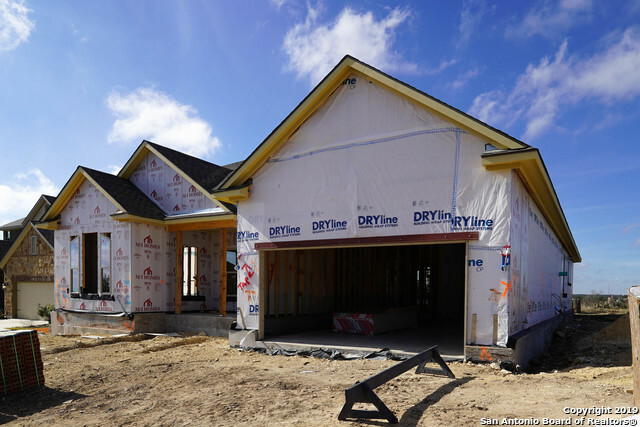 The master bedroom offers an optional door to enter onto the covered back patio, and a bay window can be added for even more square foota"
"Entry and extended entry with 11-foot ceiling. Game room with French doors. Kitchen features an island with built-in seating space and a walk-in pantry. Family room and dining area open to kitchen, both with walls of windows. Private master suite. Master bath with double door entry includes garden tub, separate glass-enclosed shower, dual vanity sink, two spacious walk-in closets. Extended covered backyard patio. Sprinkler system. Three-car garage. 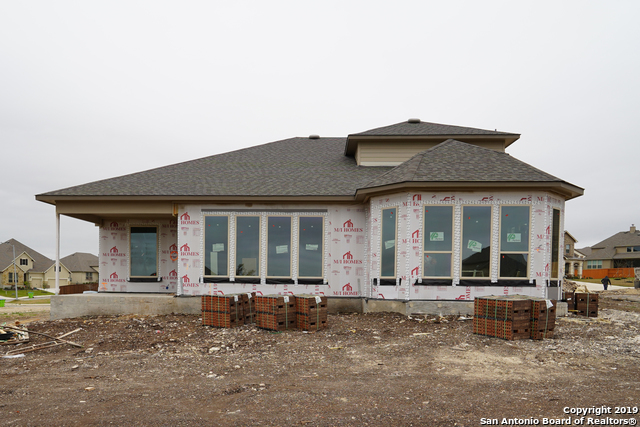 Stage of construction is Foundation on the day"
"Library with French doors and formal dining room frame the two-story entry with hardwood floors. Open kitchen faces the two-story family room with an 18-foot ceiling, ceramic tile floor and cast stone fireplace. Kitchen features island with built-in seating space. Window seat in the morning area. Master suite with dual sinks and two walk-in closets. Additional closets for storage. Oversized utility room. Game room with an adjoining media room located upstairs. Extended covered backyard patio." 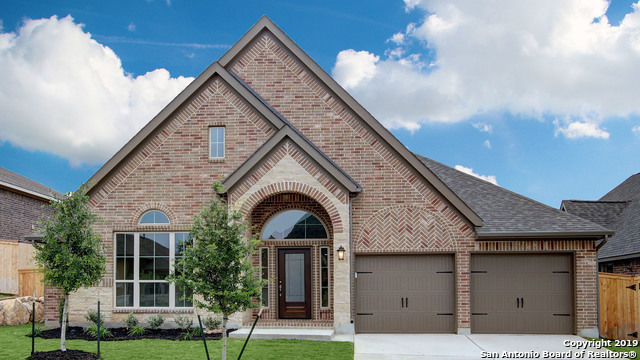 "The Edinburgh home plan is perfect for entertaining! As you enter the home through the long foyer, you'll realize this large one story with options becomes one of our more popular two stories, if you so choose! In this home, the secondary bedrooms are great in size and the secondary bathroom is located in-between both suites. Your fabulous formal dining is located right in the middle of the home, which allows you to entertain your guests with ease." "The kitchen has an oversized island, and opens to a huge family room and breakfast area. For the back patio, a cover can be added, and in the master bedroom, a bay window can be included for even more square footage. Upstairs, there is the game room, and a media room that can be converted into a fifth bedroom, making the half bath into a full bathroom." "Game room with French doors and formal dining room. Extended entry leads to large family room with a wall of windows. Kitchen features island with built-in seating space and walk-in pantry. Private master suite with a wall of windows. Master bath includes corner garden tub, separate glass-enclosed shower, dual vanities, large walk-in closet and a linen closet. Secondary bedrooms and a Hollywood bath complete the open design. Two-car garage." "Entry with 12-foot coffered ceiling. Library with ceramic tile floor and game room with French doors. Family room with a wall of windows and cast stone fireplace opens to kitchen and dining area. Kitchen features an island with built-in seating space and a walk-in pantry. Master bedroom with a wall of windows. Double door entry to master bath featuring a garden tub, separate glass enclosed shower, dual sink vanities and a spacious walk-in closet. Extended covered backyard patio. Two-car garage." "Extended entry with 12-foot ceiling. Library with French doors and ceramic tile floor. Kitchen with a spacious walk-in pantry. Dining area with wall of windows opens to family room with ceramic tile floor. Private master suite features a wall of windows. Master bath with a corner garden tub, separate glass enclosed shower, dual vanities, spacious walk-in closet. Mud room. Covered backyard patio. Sprinkler system. Two-car garage." 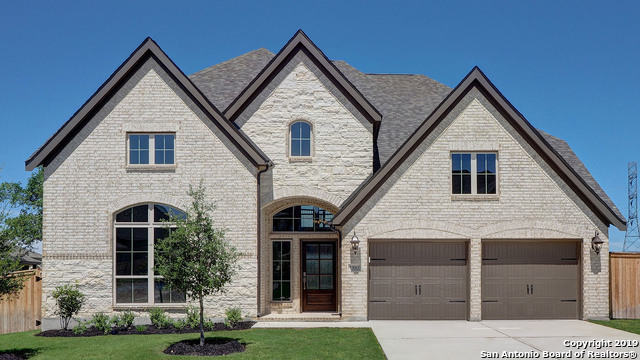 "A wall of windows and 18' ceilings in the Family Room will take your breath away! Very open plan, the Latham offers contemporary style & functionality. Huge covered patio & large yard, perfect for relaxing after a long day. Custom cabinets, gas cooktop & large granite island will bring out your inner chef, and the adjoining dining space allows everyone to be a part of family dinners. The Owner's Retreat and Game Room have an extra 3' of usable space vs standard layout! 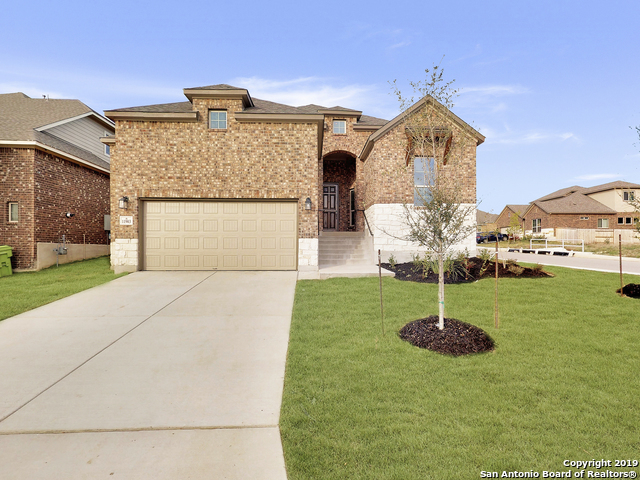 Wood tile flooring and 3 c"
"Fall in love with this fantastic single-story home, the Bradberry! 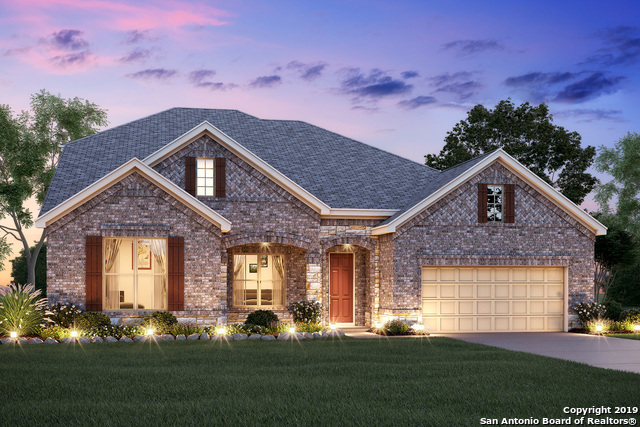 You've always wanted a one-story home w/an oversized owner's retreat, 10' ceilings, a 2-car garage PLUS storage, AND a Texas-sized covered patio! 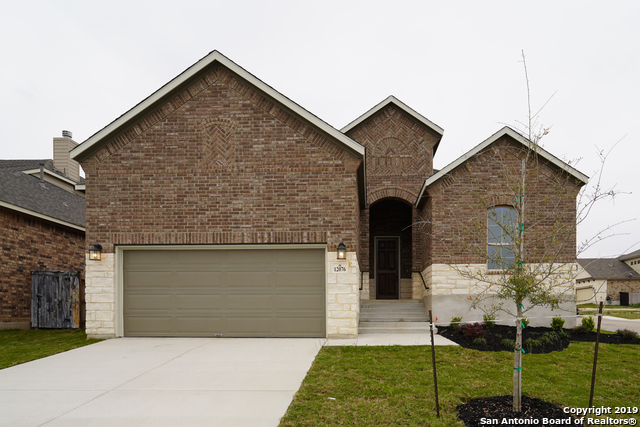 Beautiful low-maintenance wood tile flooring, built-in stainless appliances, a very spacious in-law suite and more. 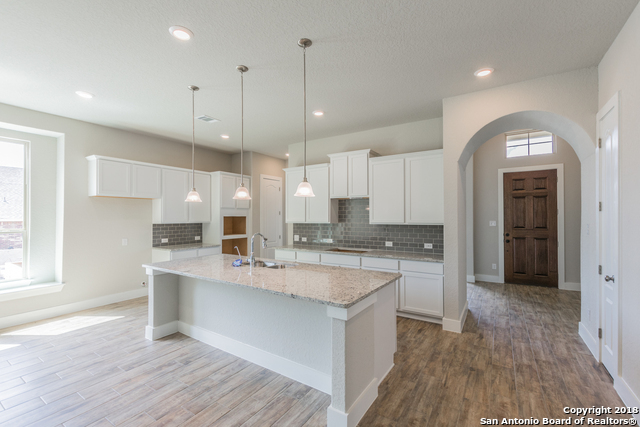 Very open kitchen/dining/family room area so everyone can spend time together, a private office for when you need your own space, an extended master suite perfect for rela"
"From the Texas Reserve Collection by LENNAR, the Coral. Upon entering the large foyer leads into the family room and kitchen. 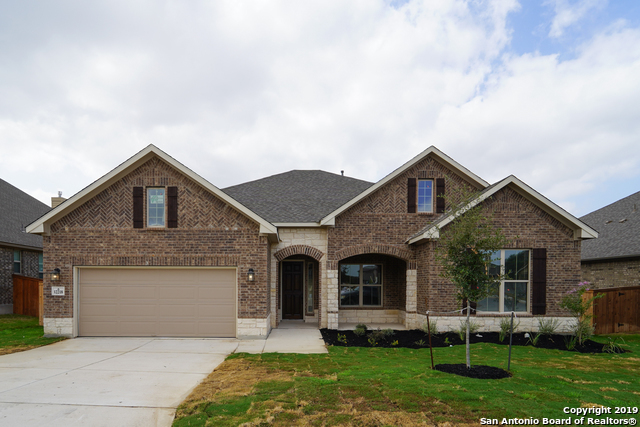 Four bedrooms and 3 baths are featured in this home. The kitchen island overlooks the family room. The master suite features a huge walk in closet and luxurious master bath with shower and separate garden tub. 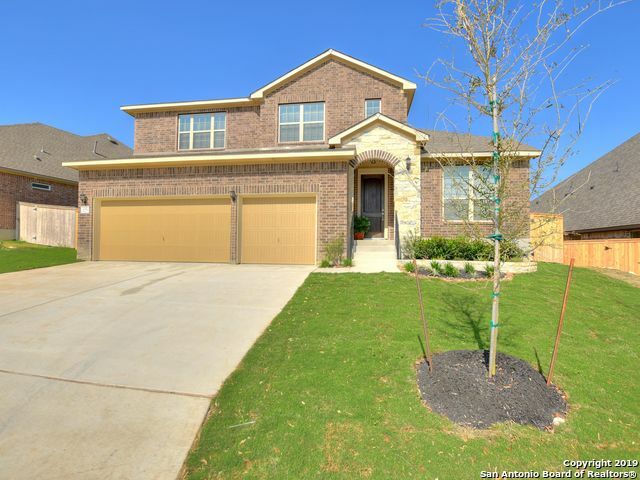 A large covered patio and the 3 car tandem garage complete this home." 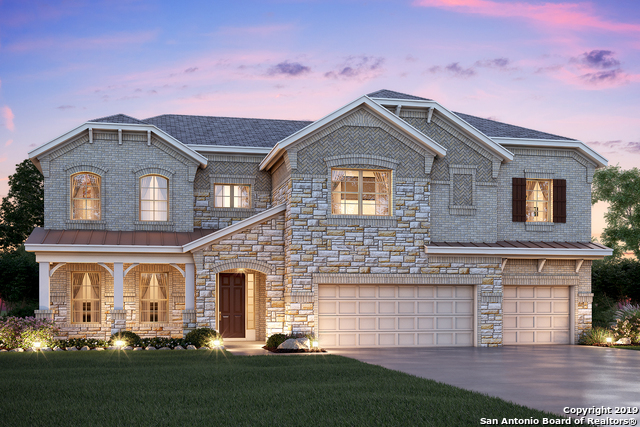 "From the Texas Reserve Collection by LENNAR, the Jade located in Fronterra at Westpointe. The kitchen island overlooks the family room and has a butlers pantry to the formal dining room. A fireplace in the family room is the focal point. The master suite features a huge walk in closet and luxurious master bath with shower and separate garden tub. A covered patio and 3 car tandem garage complete this home." 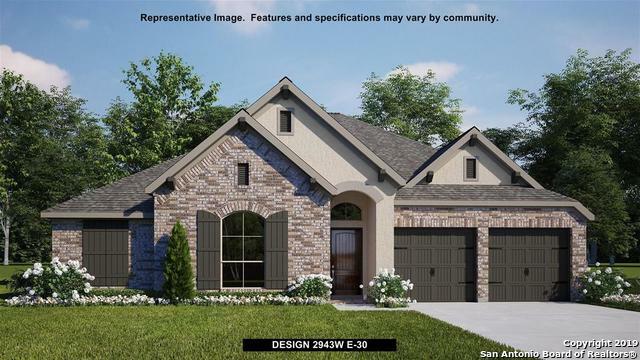 "You will fall in love with this floorplan! This single story ranch style home boasts 4 bedrooms and 3 baths, with ample space for any family. This home really seems much bigger than its 2,704 square feet. The kitchen features an island that your family' chef will dream about! Under cabinet windows in the kitchen allows natural light to brighten this open kitchen space. 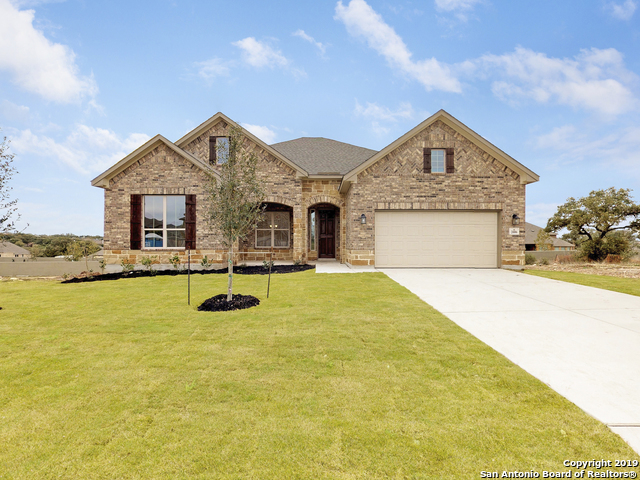 Enjoy reading your favorite book or gazing out onto your back yard through the gorgeous bay window in your master retreat." 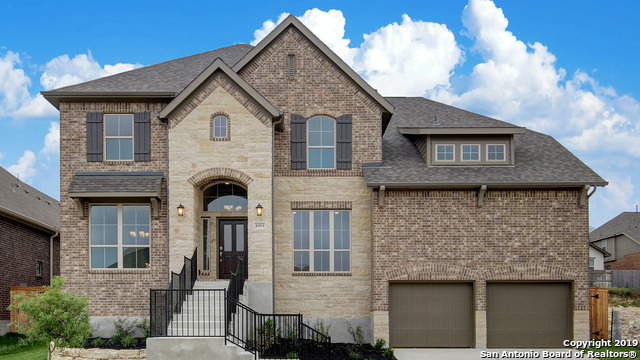 "The Griffon is a stunning 2-story home that boasts 2,951 square feet of functional living space. 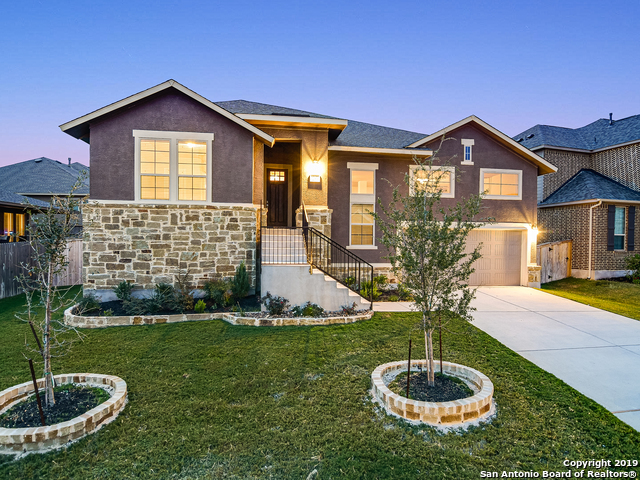 This home features 4 bedrooms, 3 baths, game room and a Den. You are welcomed to this home by a large foyer and a secondary bedroom next to a full bath. Continue through the foyer into open common areas, including the kitchen, the breakfast area, den, and family room." 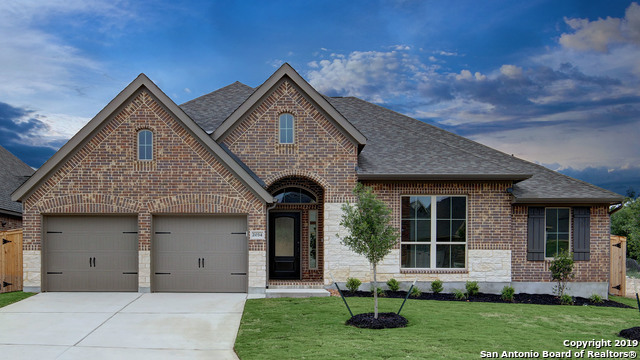 "The Magnolia is a 1-story home that boasts 2,283 square feet, and features 4 bedrooms, 3 full bathrooms, and a 2-car garage. The kitchen can be upgraded to a deluxe kitchen, which includes a built-in oven and microwave. The kitchen also has an oversized island, and opens to a huge family room that has the option to include a fireplace. A bay window can be included in the flex room, and the master bedroom." 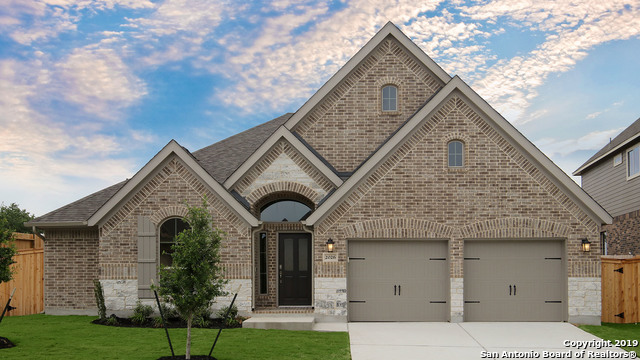 "The Bluebonnet is a 1-story floorplan that boasts 1,987 square feet of functional living space, and features 3-4 bedrooms, 3 bathrooms, and a 2-3-car garage. This home features two secondary bedrooms towards the front of the home with a full bathroom in the middle. The open kitchen gives you a great view and access to the dining room, which has an optional bay window, and the family room. The master bedroom has an optional bay window, and the master bath can be upgraded to a deluxe shower." 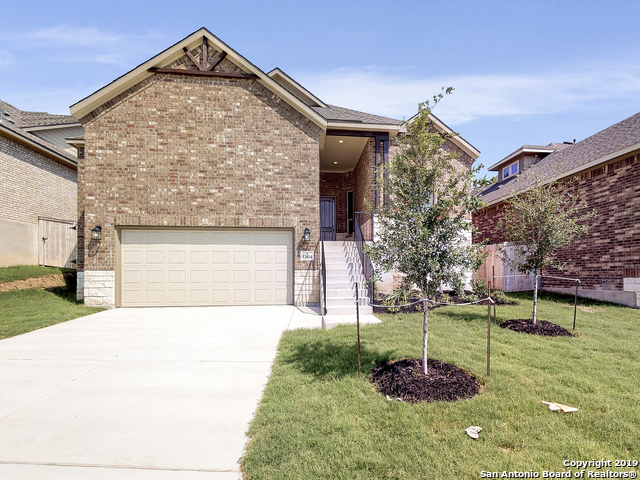 "The Cedar Elm is a 1-story home that boasts 2,219 square feet, and features 3-4 bedrooms, 2-3 full bathrooms, and a 2-car garage. The kitchen has an oversized island, and opens to a huge family room that has the option to include a fireplace. The kitchen can also be upgraded to a deluxe kitchen, which includes a built-in oven and microwave. In the master bedroom, a bay window can be added for even more square footage."